One of my favorite things about Christmas is the Christmas countdown with advents calendars! How cool is this?! You can countdown till Christmas and every day another little surprise is waiting for you. Oh, and I just love but love surprises! But the problem with the most advents calendars is finding a nice one that isn’t that expensive! So today an article about the coolest advents calendars for each budget! So if you are still looking for the perfect calendar to countdown… Maybe the perfect one for you stands somewhere in this article? So let’s take a closer look so that you can pick out your favorite calendar! Which calendar is your favorite? If I had a little more budget I would buy for sure the one from sleek, the body shop or rituals! 😉 But that will be for next year. Because this year I’m happy with my chocolate calendar from Ikea! Because except the chocolates there are also two coupons with a minimum worth from €10 inside! 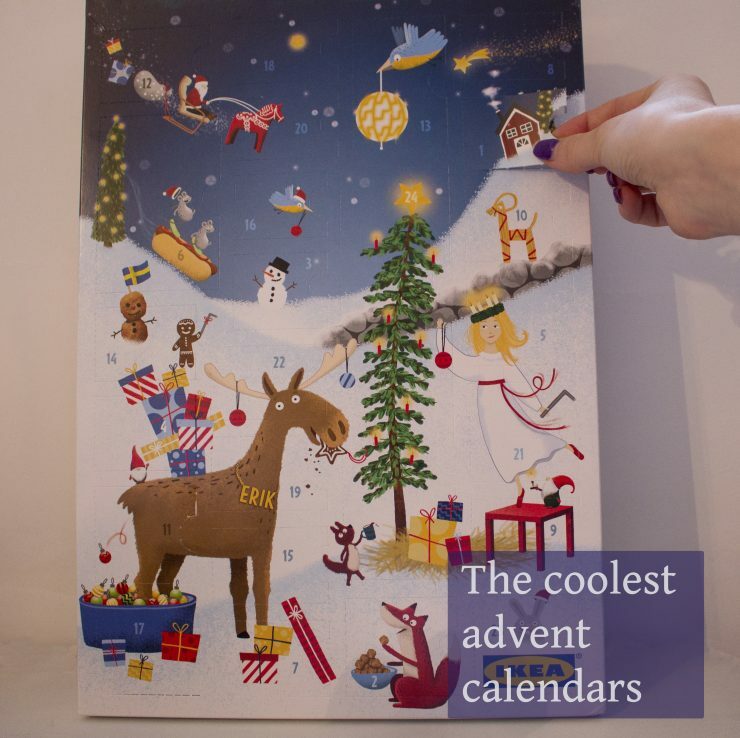 This chocolate calendar from Ikea cost €12.95. Ja dit is inderdaad echt prachtig!